Of all the points in Christian history with which to interact, why on earth would I pick such a relatively short and ignored moment? It’s a fair question. The Jesus People Movement ran from roughly 1968 -1972 (with some continuing impact going into ’75), and gets very little attention. Yet, this moment in history, short as it was, has a lot to offer us in terms of insights on Misfit Ministry. For starters, the Jesus People give us a model of contextualized ministry. It wasn’t without its flaws, to be sure. There are aspects of the contextualization of both church and evangelism that cause me to shake my head, or raise my eyebrow. Overall, however, there was among this group an intentional effort to connect with people on their turf, to show how the gospel was relevant for the world in which they actually lived and moved. Like successful missionaries all over the world, the Jesus People saw that the gospel had a lot to offer the Hippie culture and they sought to contextualize the gospel in way that made that clear. “Hippie Evangelists,” like Ted Wise or Lonnie Frisbee, were actual missionaries in their cultural contexts. Secondly, the Jesus People give us a tremendous picture of what devotion and commitment look like. In reading accounts of the movement I have been struck by the seriousness with which many took their faith. Some gave up everything to follow Christ. Steve Heefner, one of the forefathers of the so-called “Jesus Revolution” gave up a highly successful career as a rock dj. Many uprooted their families and moved where they believed God was calling them. Christian communes struggled to find food, but banded together in faith, trusting that God would provide. It is overwhelming to read about the devotion, commitment, and seriousness with which many of these newfound Christians had. They really did believe that Jesus was the center of their lives, that whatever the Word of God commanded they were required to do! It’s humbling, and it was winsome in its age. Thirdly, there is a sense in which the Jesus People Movement is a forgotten Great Awakening in American History. This was a massive revival that sprawled across the whole U.S. It started in the San Francisco Bay Area, moved further into Southern California and then began to spread East. It popped up in major cities all across the country, and in rural small towns – like Greensburg, KY. Some scholars estimate that over 250,000 people were saved as a result of the work of Jesus People evangelists. The movement launched missionary endeavors to the UK, and to India. It saw the rise of thousands of ministries (coffee shops, shelters, churches, festivals, and even denominations). We can acknowledge that not every organization, group, or evangelist was a positive example and that there are many implications from the movement that are not healthy. Overall, however, it was a revival in this country that had a massive impact on the religious landscape, particularly for youth. 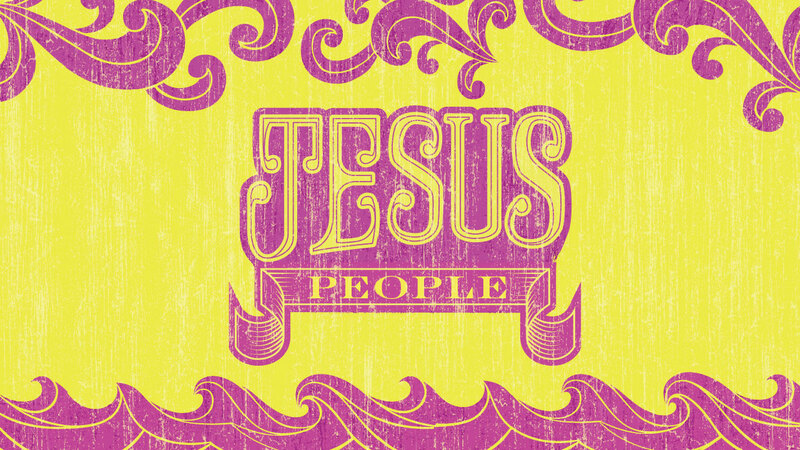 Finally, the Jesus People Movement demonstrates the relationship between Jesus and the culture around us. The Jesus People saw that Christ and Christianity had implications for all the rest of their lives. So, the Bible had something to say about drugs, finances, poverty, war, peace, materialism, pragmatism, and love. There was no separation between religion and life, they were one and the same. While the group’s hermeneutic was sometimes immature, one of the hallmarks of the Jesus People was a commitment to a literal reading and application of the Bible. If the Bible said it then they were to follow it. They read the Bible, took it seriously, and sought to live it out (not that they always did that well). As I think about Misfit Ministry I find a lot of encouragement from reading the story of the Jesus People Movement. There are lots of warnings, of course, and I’ll write about those too, but there is also a lot of insight and hope in their story. In summary fashion, I note that healthy Misfit Ministry pays attention to the culture context, takes the Word of God seriously, and is willing to risk a lot for the sake of others. These are core values I can get behind. Perhaps you were part of the Jesus People Movement. Perhaps you were influenced directly or indirectly by it. I’d love to hear some of your favorite memories. I’d love to hear how it shaped your faith – for good or ill. Share with me in the comments whatever you’d like about your past experiences. This is a part of history that is worth remembering and worth learning from.